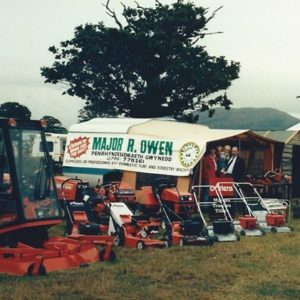 The business was established in January 1977 by Major Raymond Owen and operated from his garden shed at his home in Penrhyndeudraeth. 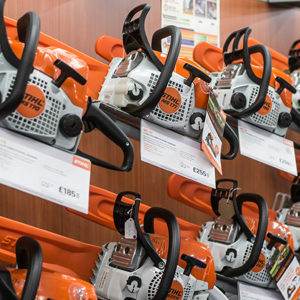 At this time the concentration was primarily on two-stroke machinery, especially chainsaws and brush cutters. 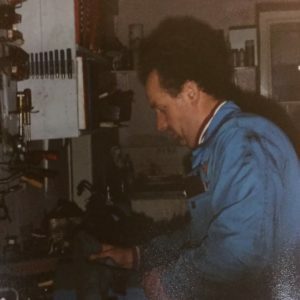 Deborah, Major’s daughter, looked after the accounts with him. 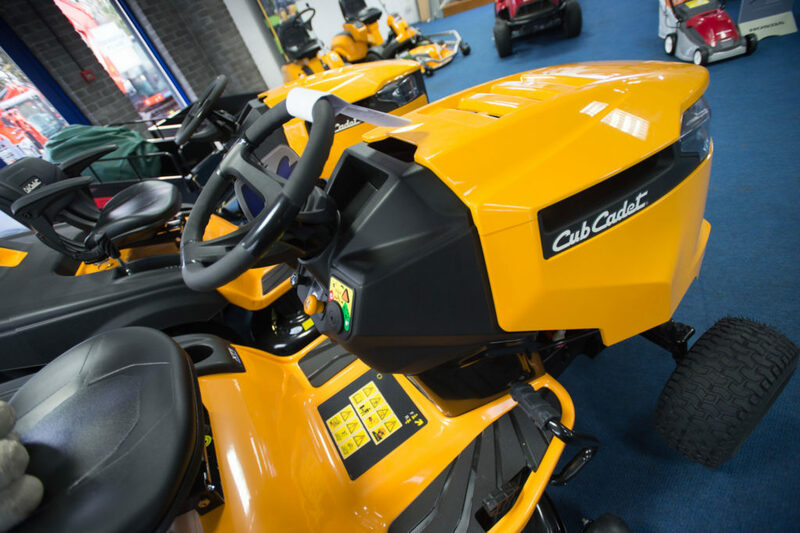 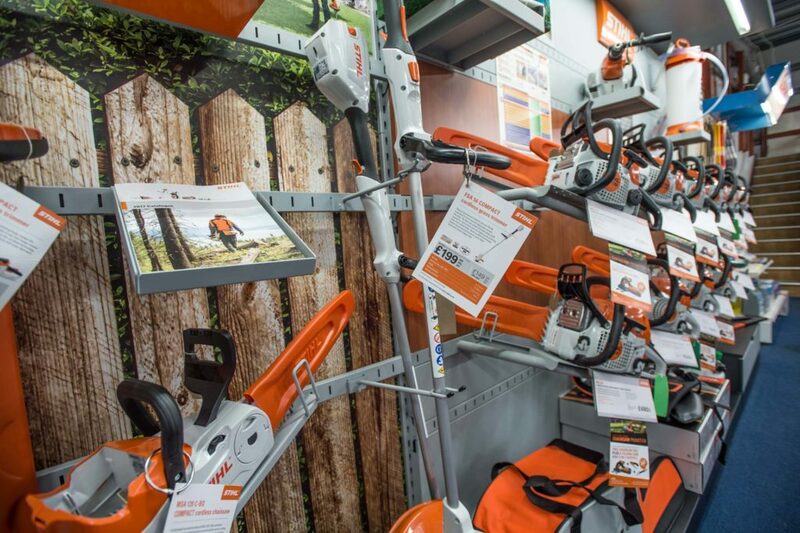 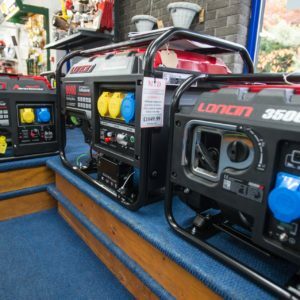 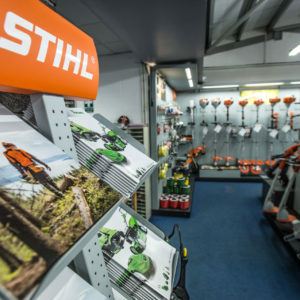 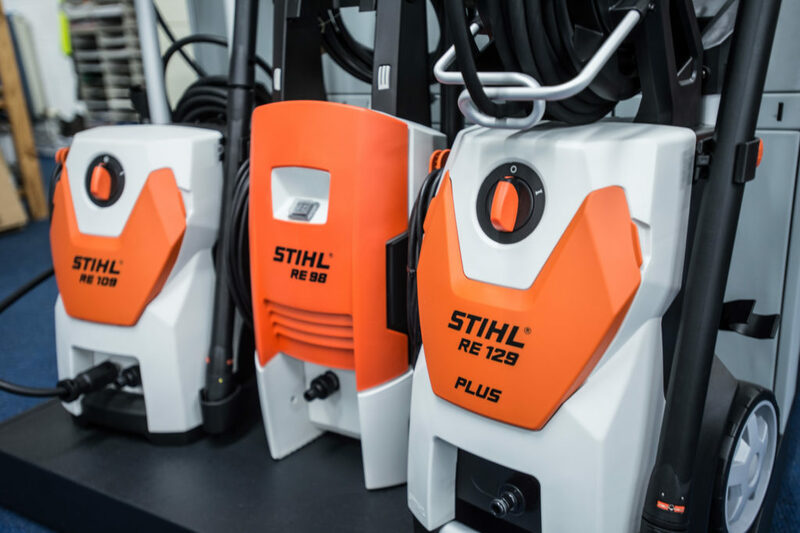 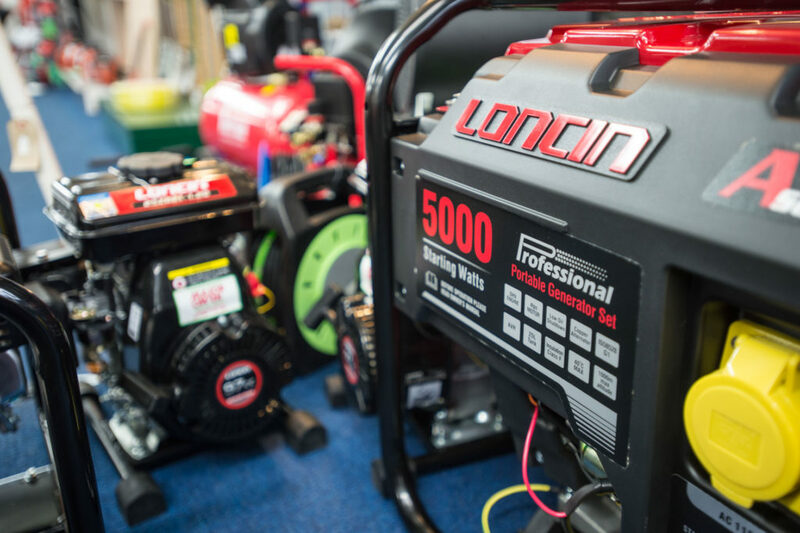 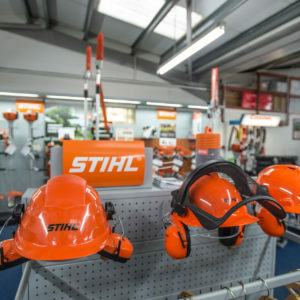 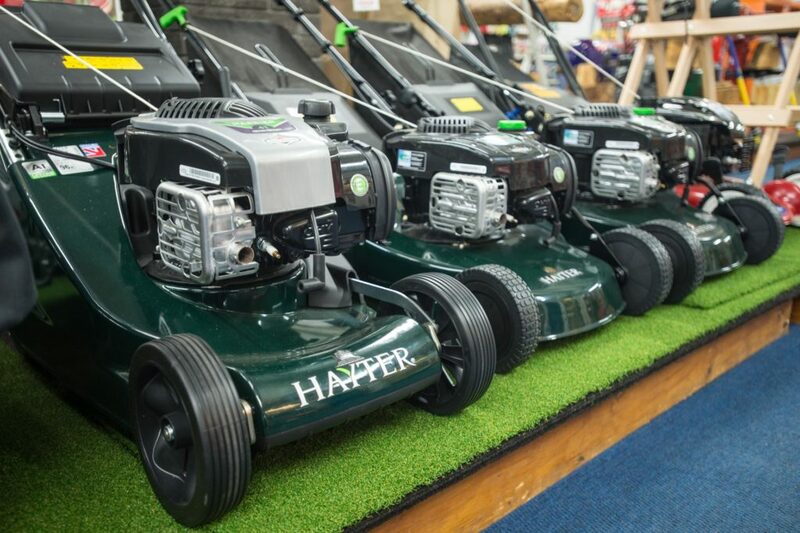 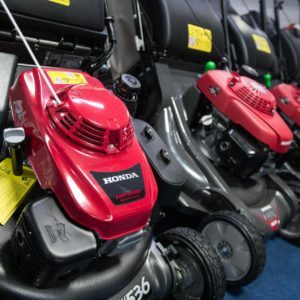 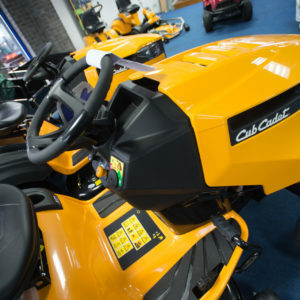 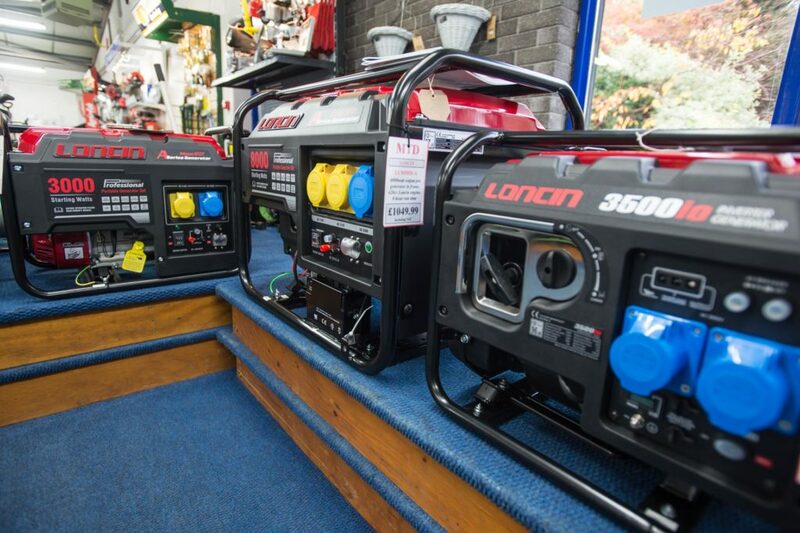 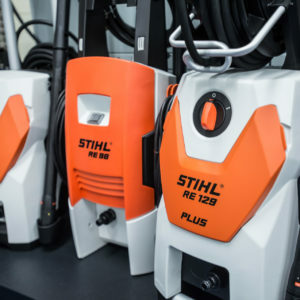 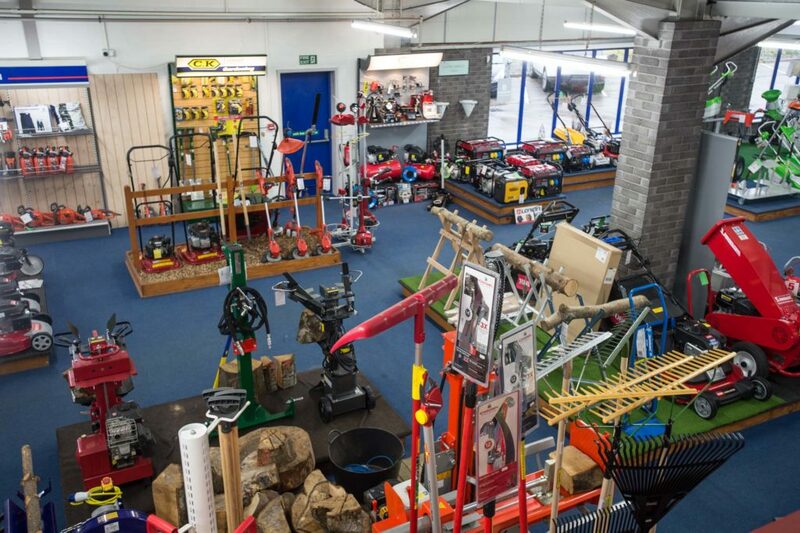 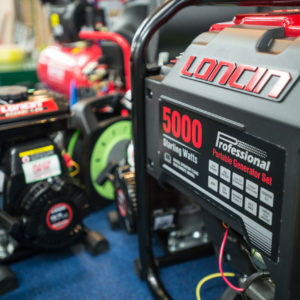 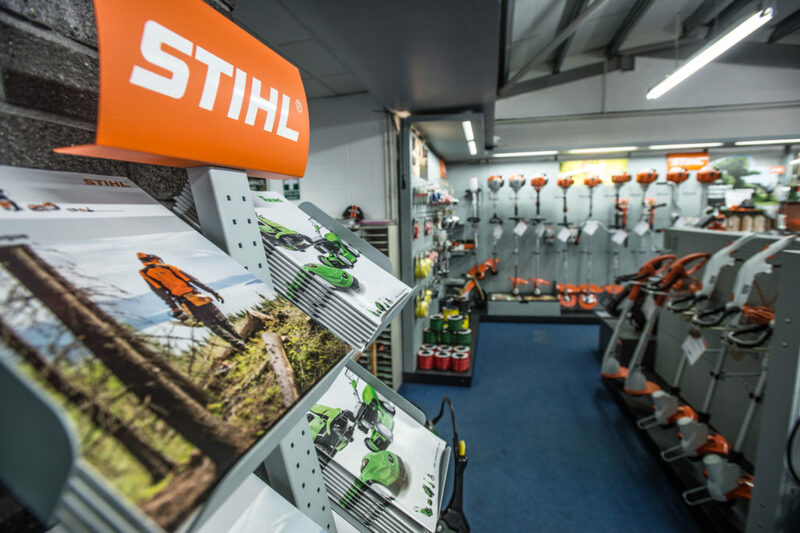 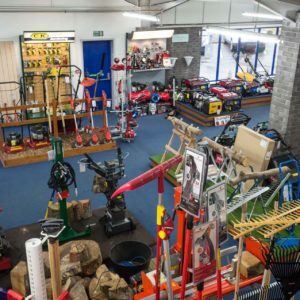 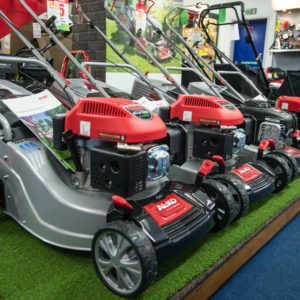 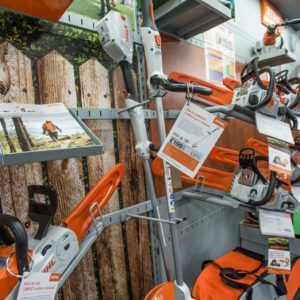 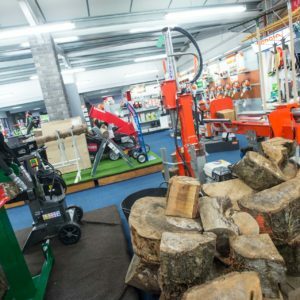 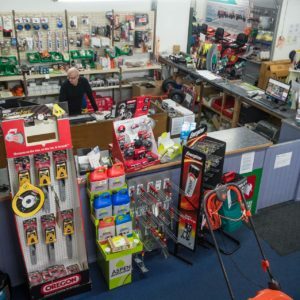 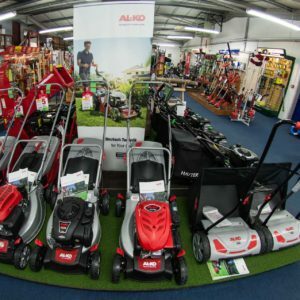 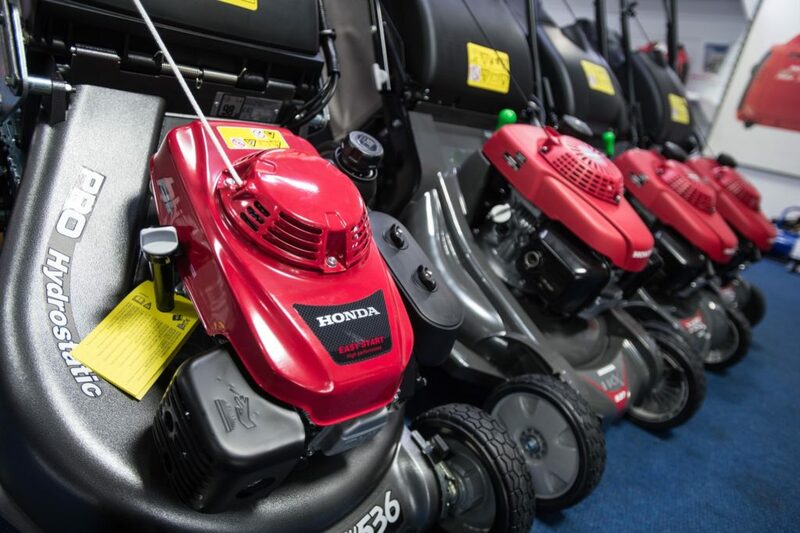 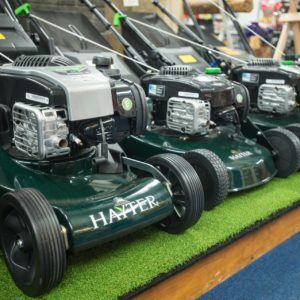 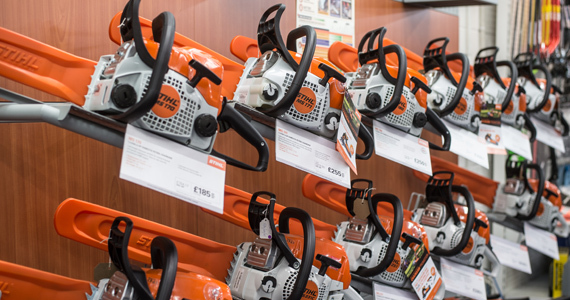 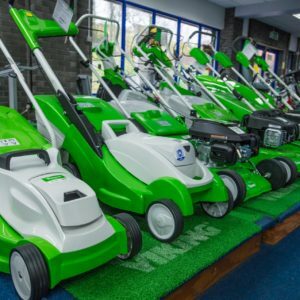 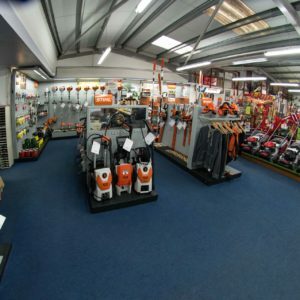 As demand for outdoor power products increased and petrol powered equipment became more widely available, Major moved to his first retail premises in School Street, Penrhyndeudraeth. 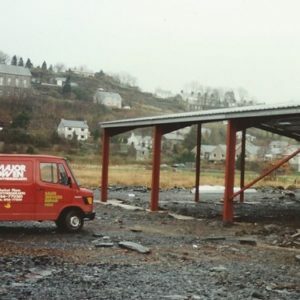 In 1984, he was on the move again and took up a lease on the Old Market Hall in the centre of the village and was joined by his son in-law David Burnham and son in-law to be Andy Jones. 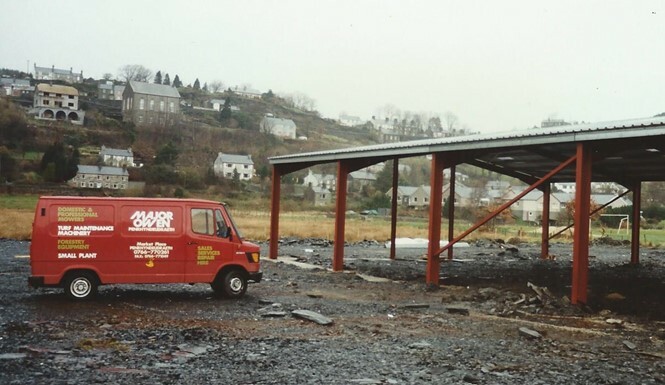 As the volume of business increased, it soon became apparent that a purpose built premises was necessary and in 1988 two acres of land was purchased at Park Road, Penrhyndeudraeth and a building of 5,000 sq. 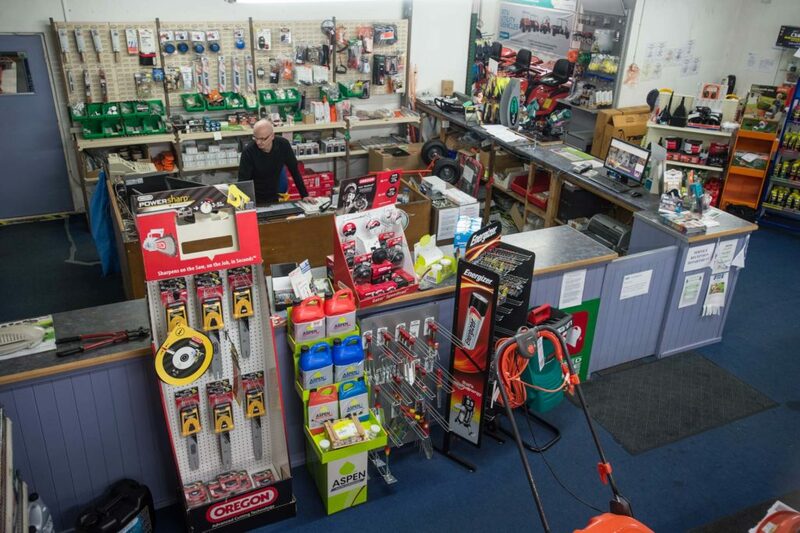 feet erected. 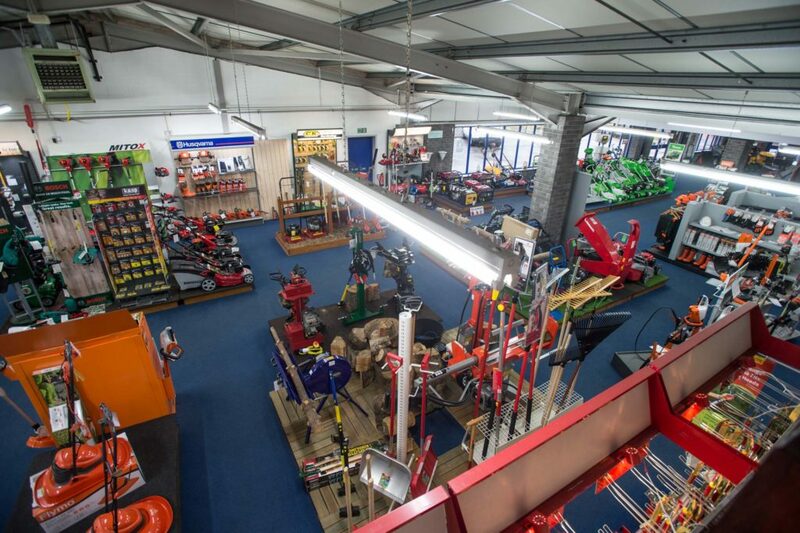 The business was incorporated in January 1990 and moved into its new premises during September of that year. 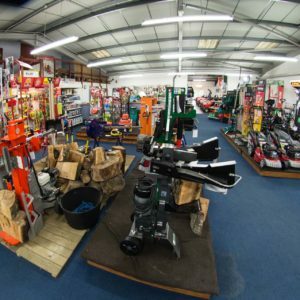 Since that time, expansion has continued and this site now houses approximately 18,500 sq. 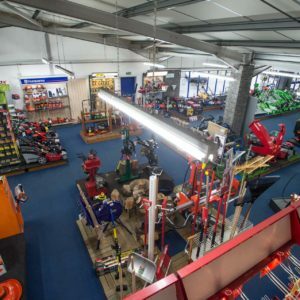 feet of covered trading space, incorporating showroom, workshop, parts, warehousing and administration areas. 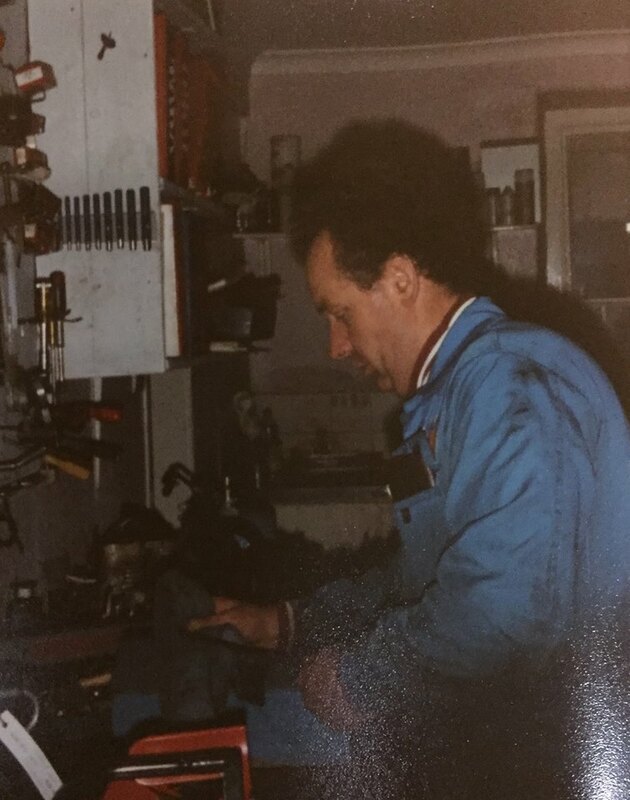 Major retired in December 1997. 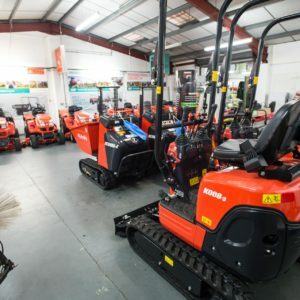 Following his retirement from the business, his son-in-law, David Burnham was appointed as Managing Director, supported by Major’s other son-in-law, Andy Jones as Sales Director and his daughter, Deborah Burnham as Administration Director. 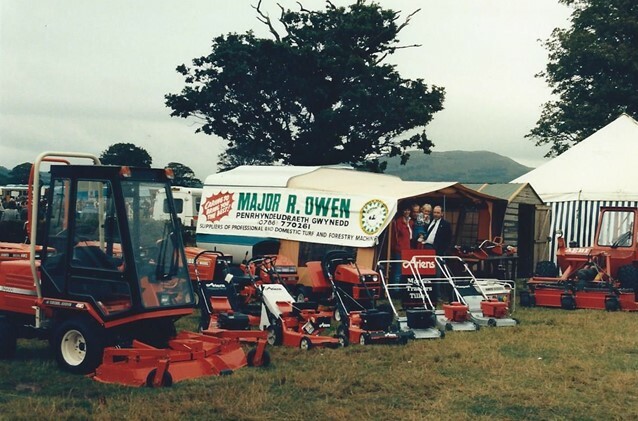 David Burnham retired from Major R. Owen Ltd in early April 2008. 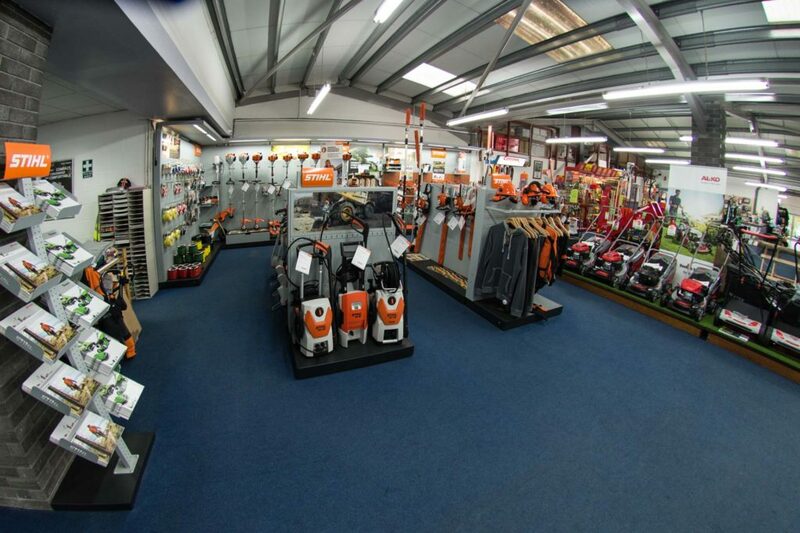 Andy Jones was appointed as Managing Director, supported by Deborah Burnham as Finance Director. 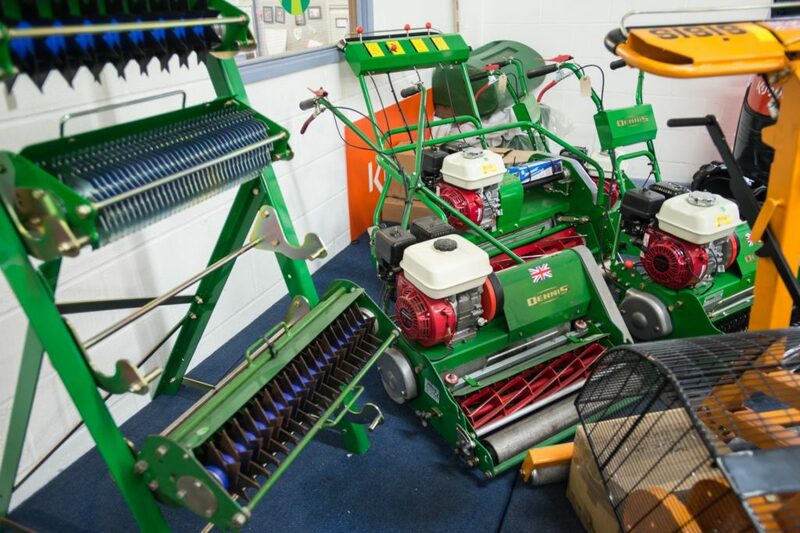 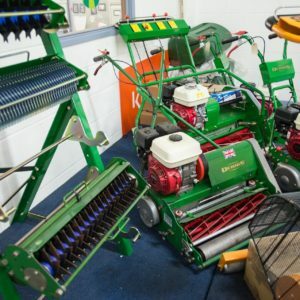 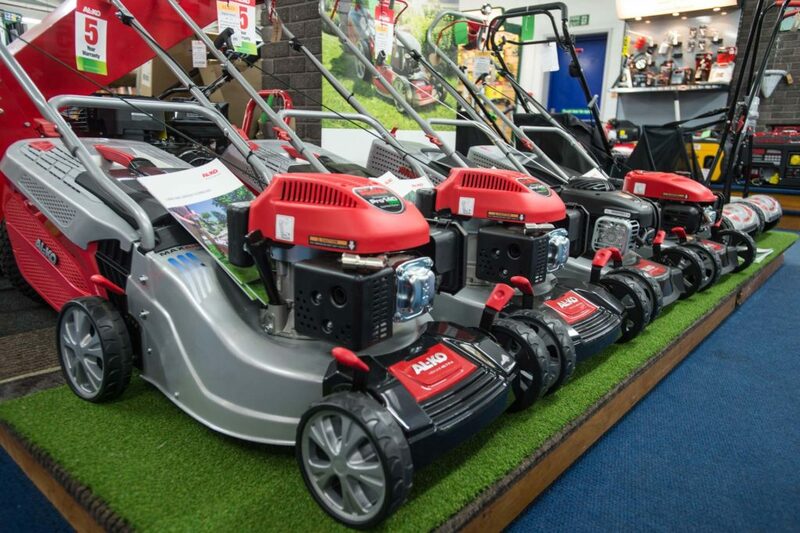 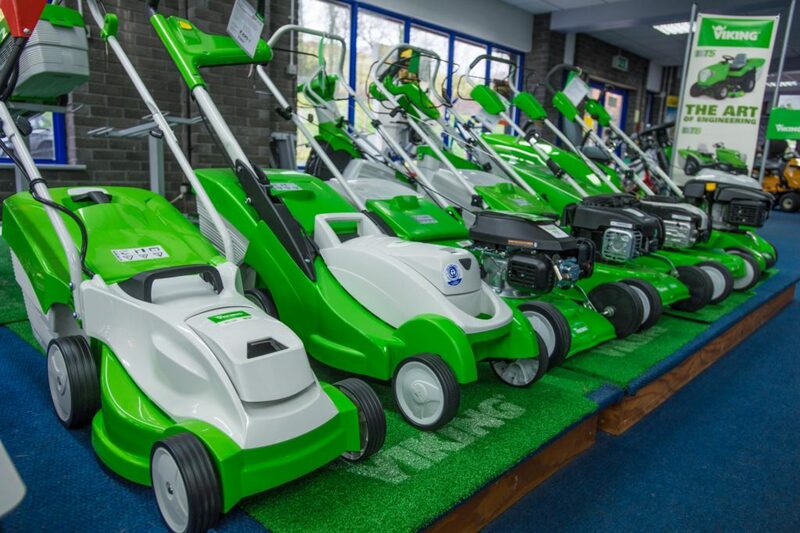 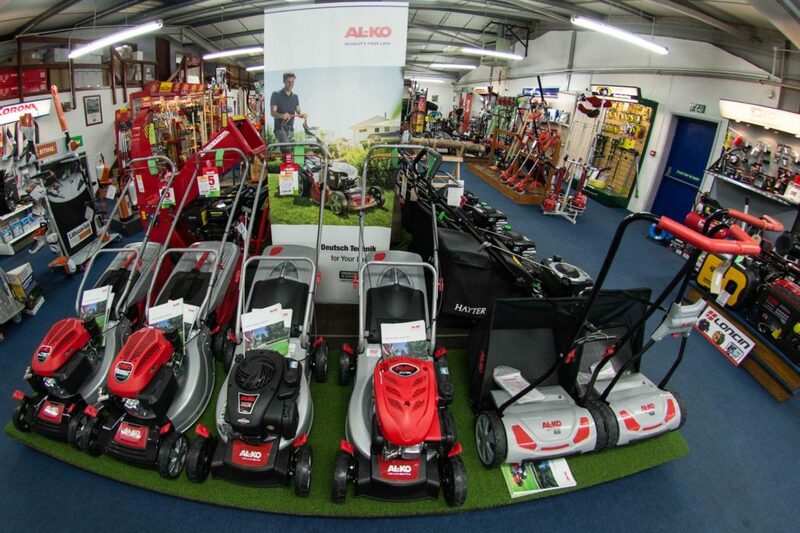 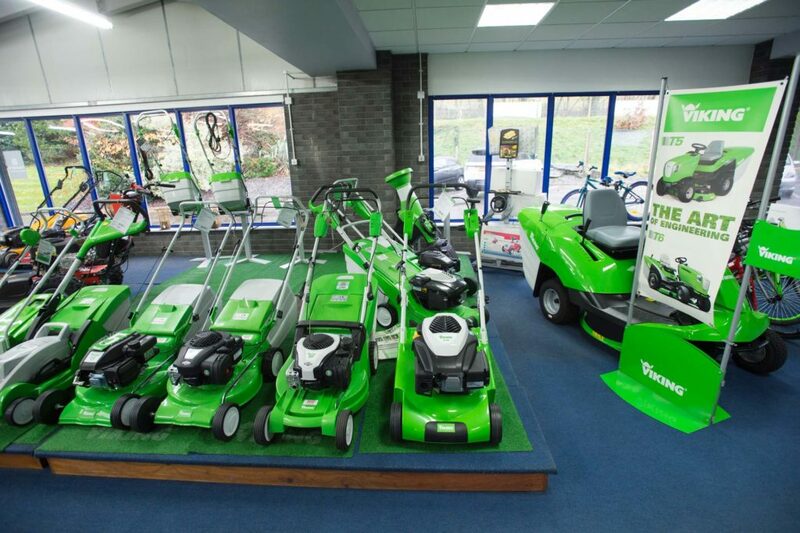 In 2010 we were awarded ‘Professional Turfcare Dealer of the Year’. 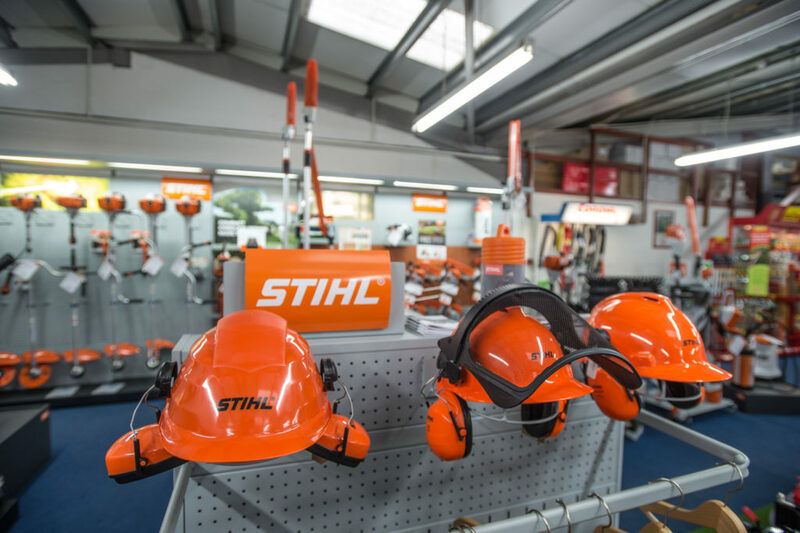 This award, achieved with incredibly hard work from the team, is something we are very proud of. 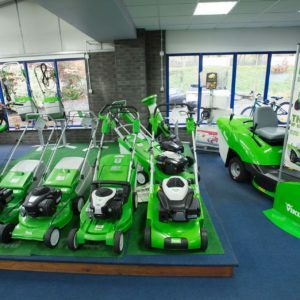 Currently the company employs 26 people including a team of 14 after sales staff. 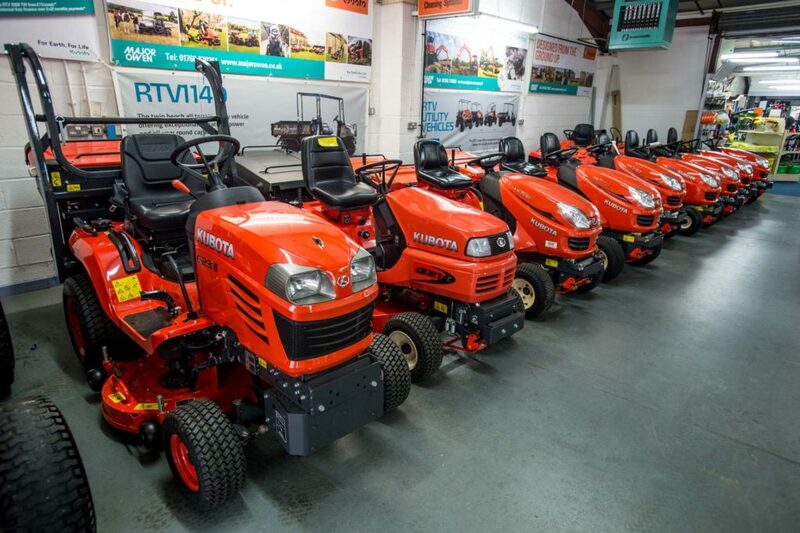 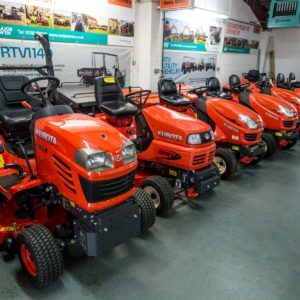 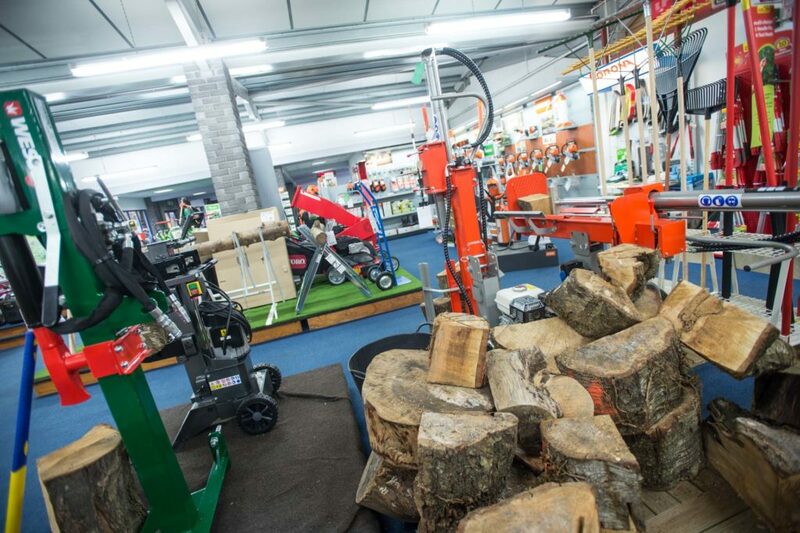 2016 saw Major Owen Ltd. serve 30 years as North Wales’ main Kubota dealer and also 20 years as a Toro dealer. 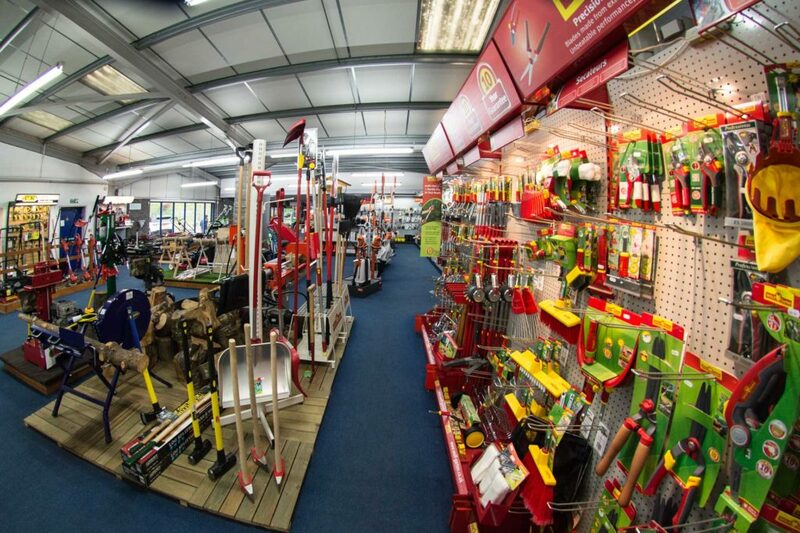 This year we are commencing our 41st year of trading…We have many exciting events to look forward to in the future. 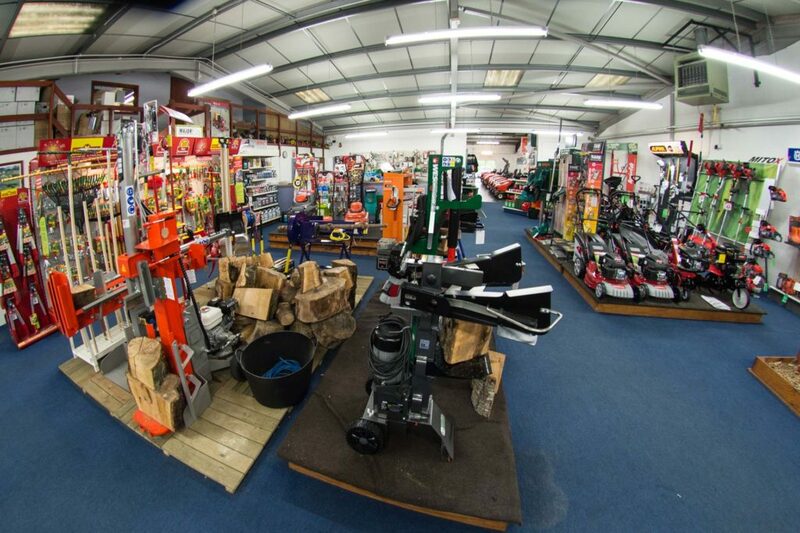 We place great importance in after sales support and are constantly striving to improve this aspect of our operation. 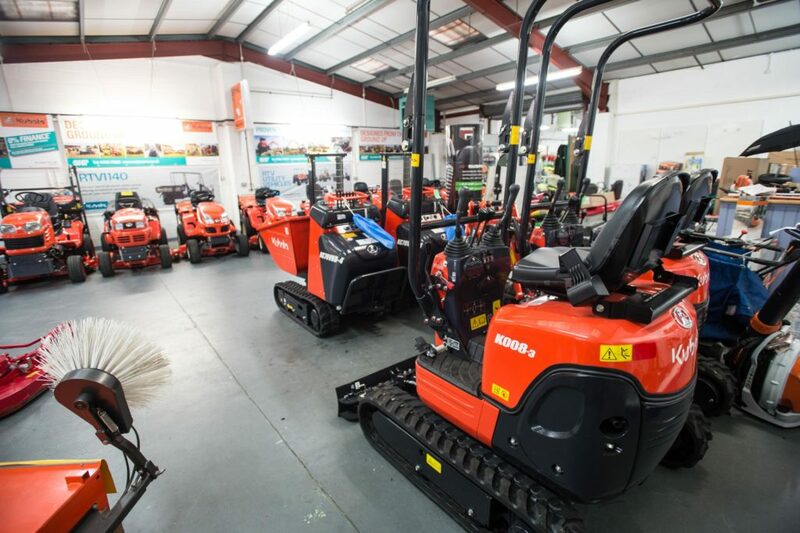 It is the firm intention of Major R Owen Ltd to be among the best in our business and to continue building upon our strengths and addressing our weaknesses. 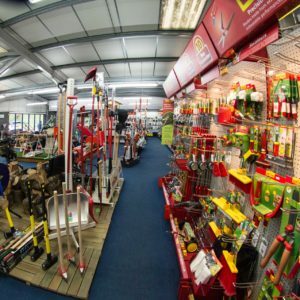 ever increasing, we offer a range of clothing and gardening supplies.